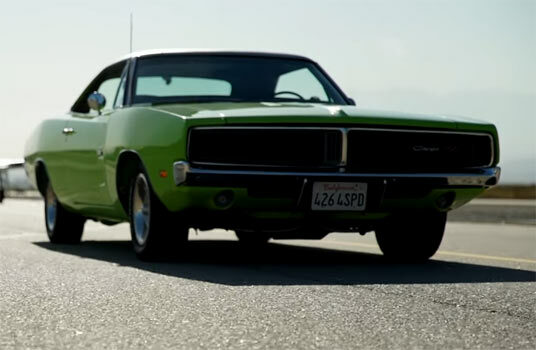 The 1969 Dodge Charger is arguably one of the most iconic designs of the muscle car era, having been a star of many TV shows and movies such as the Dukes of Hazzard and The Fast And The Furious. This particular example is owned by Bromley Howser. Bromley started his journey to get his own particular ’69 version after a motorcycle accident. He sourced a vehicle and luckily, all the original parts to eventually come up with the vehicle you see below, with only the fuel pump an alternator being non-original. Five years of work produced the end result. However, the Sublime Green is a 1970s color but that doesn’t bother Bromley as his aim was to drive and enjoy the car for himself and the results as you can see are rather impressive. Check out the full video below to see the complete rundown of his fine Dodge Charger, along with the other fine vehicles he has in his collection.